As a result, they are disproportionately impacted by climate change and the subsequent damage to water, land, and clean air. 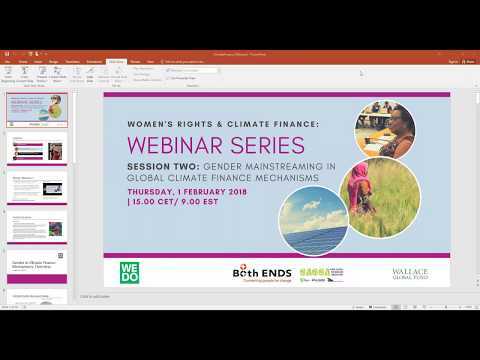 This dynamic places the responsibility for natural resource management and use squarely on women and girls.The impacts of climate change and environmental degradation are not gender neutral and, thus, funding cannot be either. Yet only 0.2 percent of all foundation funding focuses explicitly on women and the environment—a missed opportunity for funders committed to ensuring a healthy environment and equitable world. Today, on international Women's Day, a new report is released: 'Our Voices, our environment: the state of funding for women's environmental action'. 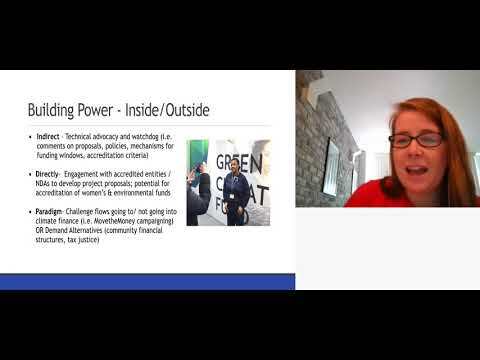 Opportunities and guidance from women’srights activists for funders that want to strengthen their existing grantmaking and take further action. It was minus 20 degrees Celsius when 2.000 women gathered at the main square of Ulaanbaatar, Mongolia, to voice their distress about the terrible smog in the city caused by three large power plants. Soon after, the women were invited to speak about the problem of air pollution with the minister of environment. "How many layers of clothing are you wearing? One? No, that's not enough. You should wear your ski pants over your jeans, and change your shoes for snowboots." And there you are, on day 1 of your trip to Mongolia. I had already heard that Mongolia is very cold at the end of November, and with -22 degrees that seemed to be all true. Last September, approximately 30 women and men from community based organizations of Honduras and El Salvador learned the tool of analog forestry which uses natural forests as guides to create ecologically stable and socio-economically productive landscapes. Communities from Northern Guatemala have filed a complaint this week against the Inter-American Development Bank (IDB). They bear the brunt of the construction of two large hydropower dams in the Ixquisis region, that are co-financed by the IDB. This is against the bank's own policies on environment and sustainability, indigenous people, gender, and information disclosure. Latin American partner organizations of GAGGA launched the campaign "We, women, are water" in March 2018. 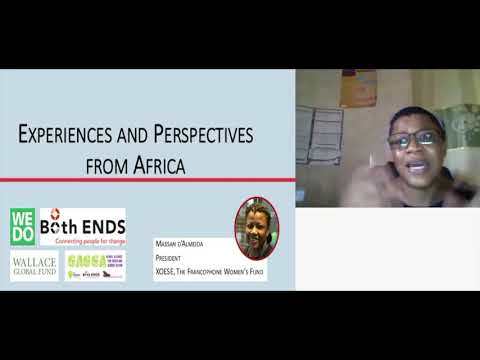 This video was launched as part of this campaign, and emphasizes the role of women water defenders. The Latin American partner organizations of GAGGA launched the campaign "We, women, are water" in March 2018. This video was launched as part of this campaign, and emphasizes the importance of recognizing water as a common good. Latin American partner organizations of GAGGA launched the campaign "We, women, are water" in March 2018. This video was launched as part of this campaign, and emphasizes the role of women in the sustainable management of water in Latin America. At the end of November EFLAC, the most important gathering of feminists from throughout Latin America and the Caribbean, took place in a park just outside Montevideo, Uruguay. Within Both ENDS, I coordinate the GAGGA programme, in which we promote cooperation between the environmental and women's movements. 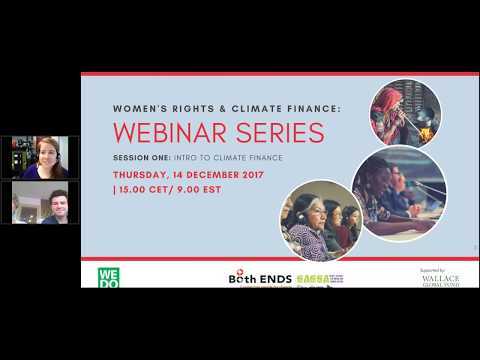 Our partners Mama Cash and FCAM persuaded me that this meeting was the perfect opportunity to find out whether and, if so, in which way women are interested in the environment. They had prepared me for a very intensive meeting, at which the whole spectrum of emotions would be aroused and expressed. I had no idea what to expect and set off with a completely open mind. And so it came that I spent four days among more than 2,000 women from across the continent. We are shocked and alarmed by the news that the Philippine government has declared a list of 600 people to be communist terrorists. On the list are mostly indigenous leaders, environmental activists and human rights defenders. Among them are some of our partners, and we are deeply worried about them and the other people on this list.